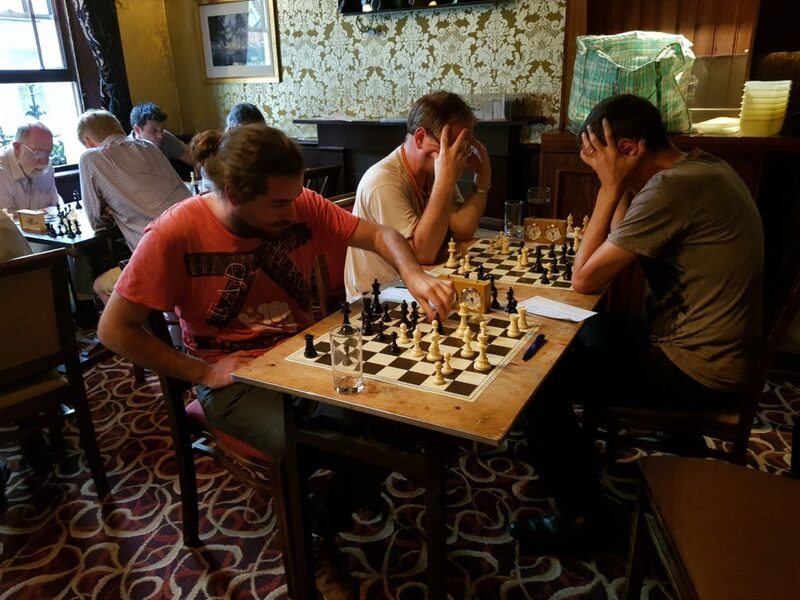 On one of the hottest days of the year, Hammer embarked on the Carpenters Arms to play our final game of the Autumn/Winter/Spring season. It was the twelfth fixture in our Middlesex Division 3 campaign, a league we had already won with two matches to spare… embarrassing! Kings Head were the opponents, who were also playing for nothing but pride and grading points. Due to a combination of weather, holidays, work commitments, and the Summer League, it was surprisingly difficult to field a squad. Carsten, Marios and John White kindly stepped up to fill the gaps, vastly improving the playing strength of the team. On board one, Carsten and his opponent blitzed out the first 12 moves, with Carsten landing a white pawn on g7. With a King stuck in the centre, Black defended valiantly, but it wasn’t long before Carsten’s exquisite tactics won him a piece and the game. Marios and Jeremy were playing more closed positions, yet they both appeared to be in their element. With gradual pressure intensifying throughout the game, their opponents eventually threw in their towels. John White is not on his best run of form but played fairly solidly, sealing a draw with the black pieces on board four. Adam spent a fair bit of his Sunday watching Simon William’s London System DVD. Luck was on his side: he got the white pieces, played the London, and his opponent adopted the passive …Be7 setup. 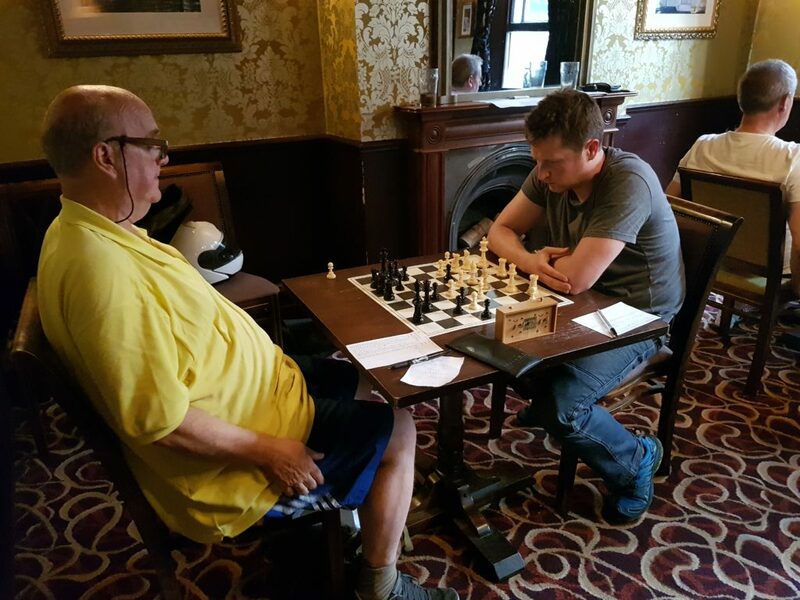 Without a moment’s hesitation, Harry the h-pawn came steaming up the board and ripped apart the Kingside, forcing resignation in 19 moves. John Woolley was the closest matched player in terms of grading, but you wouldn’t have guessed it from his game. An inspired John played very accurately, winning a Knight in the middle game, and closing it out calmly. Fingers crossed John decides to stay at the club next year. The third John: Mr. Ryan, and his opponent, John, were also closely matched grade-wise. 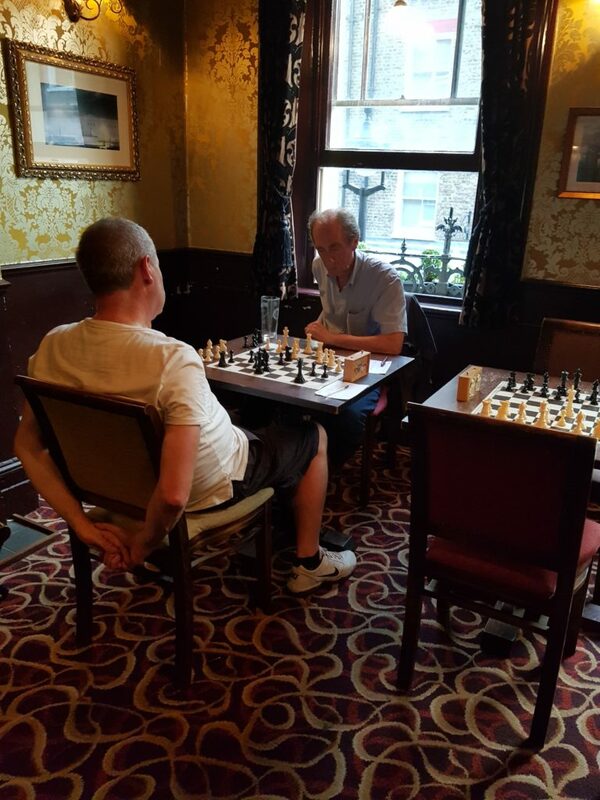 The match looked pretty even until the Kings Head player committed a clear touch-move, cheekily trying to claim that he had touched the piece without any intention to move it. After a couple of minutes of noisy altercation, he conceded that the original piece must be moved, and went on to lose the game. The irony was that the alternative move he had tried to play was even worse! And that ends a hugely successful season in the Middlesex League. Next season we’ll surely face some tougher challenges in Division 2, but with the Club constantly getting stronger, there’s every chance we could head straight on up to Division 1.